Bettye LaVette's Things Have Changed is out now on Verve Records. There's been no shortage of musicians who've covered Bob Dylan songs over the years. 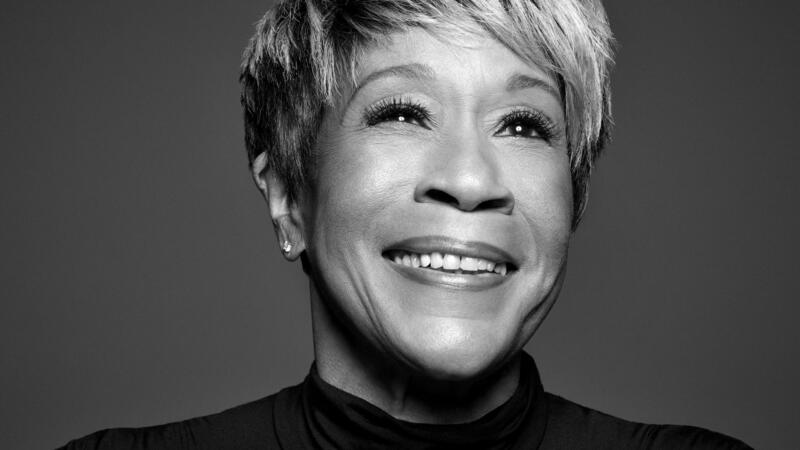 On Things Have Changed, however, soul powerhouse Bettye LaVette reinvents the timeless music and lyrics of the folk singer into an intimate career retrospective all her own. LaVette says she didn't have a relationship with these songs before the project, which she counts as a stroke of luck that allowed her to reshape otherwise well-known music. In songs like "Emotionally Yours," she was able to mine new depths from a songwriter she always saw as plainspoken and practical. "He just says, 'These are my words and I am very hurt,' but he never sounds that way," she notes. "And you know how I am, I sound hurt all the time, on 'Happy Birthday' or whatever." LaVette admits to feeling daunted by the task of impressing skeptical Dylanites she sought to reach with this album. "I never thought you guys would even let me in the front door," she says of Dylan fans, though this statement could apply to much of her relationship with the music industry over the years. (She sometimes struggled with finances or with maintaining consistent label support.) Now, Things Have Changed is LaVette's first release on a major label in 30 years. "It's so funny; I walk on the stage, and I can tell who you are, because you're kind of with your arms folded and looking especially as if you've never heard the CD or you've never heard of me," she says. "I thought people would think, 'Who does she think she is, for real?'" But once she opens her mouth to sing, however, she says she receives as many as three or four standing ovations, usually in the middle of the first song. LaVette talked to NPR's Don Gonyea — one such obsessed Dylanite — about her changing relationship with Dylan's music and reflects on a lifetime of defying an industry that has tried to box her in. I was in Italy on the same festival that he was on and coming out of my dressing room. Security would not let anyone out of the dressing room, and I said, "Well, why?" And they said, "Because Mr. Dylan is going onstage," and I'm like, "Well, I don't care! Let me out of my dressing room!" So I come out of my dressing room and I'm angry because he's got my band and me and everybody trapped while he takes 50 steps to the stage. So I'm walking along the same path that he is, but on the other side of the room, and I said, "Hey, Robert Dylan!" And he was walking with his bass player and his bass player mouthed to him: "That's Bettye LaVette!" He walked over to me, took my face in both his hands, kissed me dead on the mouth and walked on the stage. So that's what we've done thus far [Laughs]. All those lyrics seem to apply to my younger life: how my mother literally did not know where I'd be waking up tomorrow and how she'd stay up all night worrying about me. I was either in another state or certainly in another city. They started off by trying to make me sound like a girl, which really played me out of position. I really thought at one point I could sound like Doris Day, and it took me a long time to accept the fact that I sound more like James Brown. And now I'm trying to convince everybody it's OK for me to sound like James Brown. They all sounded either like they came from church or like girls. And I didn't come from church, and I really don't sound like girls as we know girls to sound. Every time one of those records charted and I was zoomed around the world and brought back, I thought I was done each time. I've had no big problems with life or living; someone has always liked me and someone is always willing to help me try and be the best or biggest Bettye LaVette I could be. So I've been very fortunate on the friend side and the health side. It's just the industry that has had a difficult time putting me wherever they wanted me to be. They never seem to know. They won't accept the fact that I'm a singer; they want me to be a kind of singer, so we've been at odds with that. But slowly, certainly in these last 10 years in this fifth career, I've been accepted on many different fronts. It's always been my dream to be to have what I call a Ray Charles audience: young, old, black, white, American, foreign, whatever. There's been no shortage of musicians who've covered Bob Dylan songs over the years - Jimi Hendrix, Old Crow Medicine Show, Emmylou Harris, Tracy Chapman. The list could probably go on for a year. A new take on Mr. Dylan's music is from rhythm and blues powerhouse Bettye LaVette. GONYEA: This is Bettye LaVette's first album on a major label in 30 years. It's all Dylan, and it's called "Things Have Changed." Bettye LaVette joins me now from the studios of W Biggio in Newark, New Jersey. Ms. LaVette, welcome to the program. LAVETTTE: Thank you, Don. I'm glad to be here with you. GONYEA: So I should actually begin with full disclosure here. I am a bit of a Bob Dylan obsessive, and I'm quite certain that most of the songs that you've chosen won't be familiar at all to people who aren't Dylan geeks like me. They're not the old iconic Dylan anthems or chesnuts, for the most part at least. Why go in that direction? LAVETTTE: Well, I didn't choose a direction. I didn't have any relationship with the songs before, which is a very good thing because they weren't being changed at all to me. They were the way that I heard them and as I've been telling people when they say the word, cover - well, it kind of insulting to me because I've worked on 'em so hard, and all you have to do to cover a tune is listen to the record and just repeat it. But when you interpret a song, you have to find your own way into it and find your own meaning. And with Bob Dylan, it was quite a joy to understand what he meant before I could say what I meant. GONYEA: I've seen you describe Dylan's words as not being pretty. You say they're more practical or they're more logical. Explain what you're saying there. LAVETTTE: Well, I said that because he's often called a poet. A poet, as I know a poet to be tends to speak in beautiful terms, and he does speak practically and in prose, and I didn't find anything really pretty, per se, about the lyrics. I did find some pretty melodies though, so I softened the presentation of the lyrics like in "Emotionally Yours" and found things that I had heretofore never heard from Bob. LAVETTTE: (Singing) Come baby, find me, come baby, remind me of where I once begun. He doesn't act and sound the way he feels. He just says, these are my words, and I'm very hurt. But he never sounds that way. LAVETTTE: (Singing) I will always be emotionally yours. GONYEA: So that song, "Emotionally Yours," that's one that I sometimes play for people when they tell me they don't like Bob Dylan. I guess - you know what I'm getting at when I do that? I guess that's what I hear in your voice as well. LAVETTTE: That's kind of what I present at first. You have to study him and hunt him down to find this. That's why I want to talk with him so bad. I want to see if I can make him cry. LAVETTTE: Not really. We've kissed. LAVETTTE: I was in Italy on the same festival that he was on, and security would not let anyone out of their dressing room. And I said, well, why? And they said, because Mr. Dylan is going on the stage. And I'm like, well, I don't care. Let me out of my dressing room. So I come out of my dressing room, and I'm angry because he's got my band and me and everybody trapped while he takes 50 steps to the stage. So I'm walking along the same path he is and on the other side of the room. And I said, hey, Robert Dylan. And he was walking with his bass player and his bass player mouthed to him, that's Betty LaVette. He walked over to me, took my face in both his hands, kissed me dead on the mouth and walked on the stage, so that's what we've done thus far. GONYEA: That's a nice moment. So I want to talk to you about the song "Mama, You've Been On My Mind." First, we're going to play just a bit of Dylan's version of it. Then we'll listen to yours. GONYEA: No mistaking that Dylan voice there. So when he sings this song, it's about a lover who is far away or maybe gone completely but who keeps intruding on his thoughts. But your version, Bettye LaVette, of "Mama, You've Been On My Mind" is quite literally about your mother. LAVETTTE: It is. And all those lyrics seem to apply to my younger life and how my mother literally did not know where I'd be waking up tomorrow and how she'd stay up sometimes, I'm sure, all night, worrying about me. I was either in another state or, certainly, in another city, and it - I immediately, I met - not for one second, did I think about anything else but that. That came into my mind immediately. GONYEA: If you don't mind, I'd like to talk a little bit about your earlier career. You started out as a teen star in the early 1960s. Your career, eventually, kind of, got off track. You struggled a great deal in that period with career and with money and even with life, in some ways. Did you think you were done? LAVETTTE: Well, that's why this is my fifth career. Every time one of those records charted and I was zoomed around the world and brought back, I thought I was done each time. I've had no big problems with life or living. Someone has always liked me and someone is always willing to help me try and be the best or biggest Bettye LaVette I could be, so I've been fortunate on the friend side and the help side. It's just the industry that has had a difficult time putting me wherever they wanted me to be. They never seem to know. They won't accept the fact that I'm a singer. They want me to be a kind of singer, and so we've been at odds with that. But slowly, certainly since - in these last 10 years, in this fifth career, I've been being accepted on many different fronts and it always been my dream to be - to have what I call a Ray Charles audience - young, old, black, white, American, foreign, whatever. GONYEA: You said you felt some pressure from the industry to kind of pigeonhole you. Where were they trying to put you? LAVETTTE: Well, they started up trying to make me sound like a girl. I really thought, at one point, I could sound like Doris Day, and it took me a long time to accept the fact that I sound more like James Brown. And now I'm trying to convince everybody else that it's OK for me to sound (laughter) like James Brown (laughter) even though I'm little and I'm a girl. LAVETTTE: Well, that's what I mean when I say, (laughter) Doris Day. They all sounded either like they came from church or like girls, and I didn't come from church, and I really don't sound very much like girls as we know girls to sound. GONYEA: That is Bettye LaVette. Her latest album is "Things Have Changed." Bettye LaVette, thank you very much for talking to us. LAVETTTE: Thank you so much for talking with me. I can't wait to meet you. LAVETTTE: (Singing) 'Cause a one that gets hurt is a one who is stalled... Transcript provided by NPR, Copyright NPR.